Disclosure: This is not a sponsored post. However, the following content contains affiliate links. It's not often you find clothing that feels good to wear and does good in the world, too. 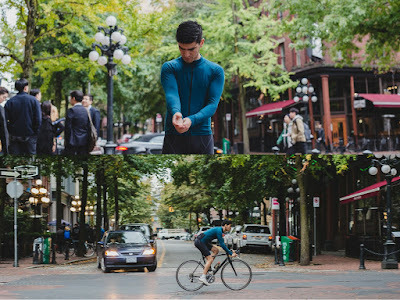 But look no further, Andrew Gonzalez of Pillar Heights is challenging the apparel norm with his revolutionary Technical Hemp Cycling Jersey. Being a cyclist himself, Andrew knows firsthand the kind of nuisance issues that come up with the type of cycling apparel on the market. To him, riding a bicycle isn't just a way to get from point A to point B, but a lifestyle---whether you utilize a bike for your commute, as a means of exercise, or simply for pleasure. Naturally, he has become acutely aware of the many flaws in the type of gear available on the market for a cyclist. It became apparent over time that if he wanted the perfect cycling jersey, he would have to make it himself. And he did. He started with a prototype that has been perfected through trial and error, utilizing his knowledge of business and textiles---acquired over 10 years as the owner of Lucid Lifestyle, a brick and mortar (as well as online) sustainable apparel boutique with a storefront on the popular Whyte Avenue in Edmonton, Alberta, Canada. During the last 4 years, being the entrepreneurial Canadian business owner that he is, Andrew fine-tuned his design and tested the product vigorously with the assistance of his team. To ensure the result was nothing less than the best jersey for your ride. He said his goodbyes to his successful business on Whyte Ave in order to pursue his passion---a cycling jersey that changes the world. How? Using eco-friendly hemp as the base of his jersey design, which is not only easier on the environment than many alternatives but also ideal for performance, and doing good business right out of his neighborhood in Vancouver, British Columbia. Feeding the homeless, and going even further by donating to UNICEF in order to help children in developing countries, as part of his commitment to making the world a better place one day at a time. Pillar Heights is innovative at its core and looking to make products that have a place in a more ethical, sustainable future. As well as set out to prove that good business and a good conscious go hand in hand. If you've ever talked to Andrew Gonzalez, you know he's the kind of passionate, colorful, and driven individual necessary to see such an ambitious vision through. 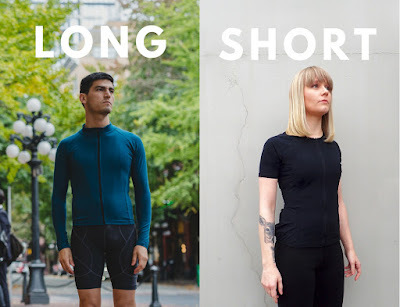 Now that you're as excited about the Technical Hemp Jersey as we are, here's what you can do to be a part of this movement: visit the Kickstarter campaign to read more about the story of Pillar Heights and their Technical Hemp Jersey (as well as what's in store for them in the future). Make your pledge and snag a jersey of your very own at an amazing price, and in doing so receive an incredible product and support the campaign that is already making a difference in the East Hastings community! Be sure to share the campaign with your friends. Alone we can make a difference, together we can create change. Let's make this happen! Disclosure: This post contains affiliate links. I did not receive any compensation from the brand mentioned above, or others sources, in relation to the writing of this content. However, I will receive a small compensation when purchases are made through these links. All opinions expressed are my own, and were in no way influenced by the brand or any other sources. The post and all photos with the watermark are the property of Found Frolicking, and should not be used or distributed in any way without first receiving permission. These clothes look really comfortable. I love sustainable clothes choices. I'll check out the kickstarter. These sound like great jerseys! I definitely want to get one for myself. What a great sounding jersey, it looks so warm and cosy. It is amazing what people are managing to fund through kickstarter. We don't own any type of cycling jersey but we do bike a great deal. I am definitely going to check this out - looks quite comfortable. I love that this material is waterproof and naturally UV protective! This sounds perfect for cyclists! This looks and sounds like a fab jersey! Does it come in brighter colours so that motorists can be sure to see me while I'm out on my bike? Love the clothes and they look so comfy! I am not a cyclist but I know the importance of a good gear when it comes to sports. I think these jerseys are great and I like the simple design as well. This jersey looks amazing! Comfort in sports gear is very important. It's so beautiful my brother is a crazy cycling I need to buy one for him he will love it!! Either you are a fitness enthusiast or an athelete, your clothing matters alot as only perfect clothig could give you the comfort to comfort and they are very reliable to perform well during gym or in the field. Also It's equally important to take proper diet and nutriton like proper meal, xtreme no supplementso that you could help you to regain your energy. These jerseys look good and I love the fact that they are waterproof. I would love to buy one and try it over the summer. I really like to read the story behind the success of this brand. These jerseys look comfortable perfect for cycling. I love this cycling jersey. It looks stylish and comfortable. But what is great about it is that is made from hemp, which is eco-friendly. I get to do my part to conserve the environment! Cool. Any company that pays attention to sustainability and the environment has my vote. Looks comfortable and you could freely move. Hope this will be launch in the market soon. It got lots of potential. Cycling is quite an easy way to get rid of cellulite. During cycling there is a proper blood circulation which helps in reducing the cellulite. Also, the dry brushing technique work in the same manner.